Well if you haven't started getting in the festive spirit then now's a better time than any so why not start with this film. The film actually took two years to complete after original director Edmund Purdom quit the job and Derek Ford took over but was fired after only two days. As you can see a pattern is emerging here. The distributors then had to hire Ray Selfe to complete the direction and Alan Birkinshaw to rewrite parts of the script, including the original ending and the London Dungeon sequence, and much of the footage was completely re-filmed. Whilst it's obvious on screen that there were problems behind the scenes it doesn't make it any less fun, sure it's flawed and yes it's cheesy but it's also a great source of enjoyment. It revels in its b grade level and that rubs off on you as a viewer. Don't go into this film expecting much, this is a film that it's made purely for enjoyment, this is a film for fans of fun death scenes, plenty of blood, and yes there's some skin. A pure 80's Slasher in other words, all set in a festive period for us to enjoy. 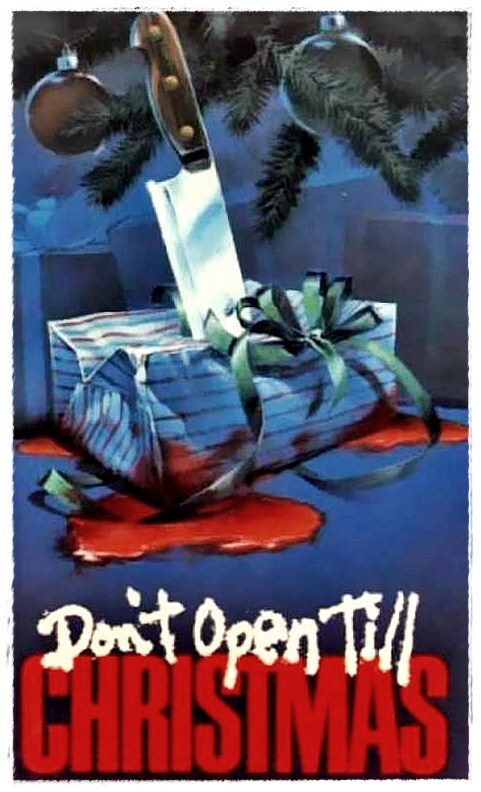 "Don't Open Till Christmas" is a film to watch with some beers and friends, enjoy it for what it is. Was released after the death of one of the main actors Alan Lake. Edmund Purdom agreed to star in this film only after stipulating that he also direct it. Caroline Munro's scene was shot in a single day. Although the character of Dr Bridle (played by Nicholas Donnelly) is referred to in the script he has never appeared in any print of the movie. Due to the films many production difficulties his scenes were filmed but deleted.